The Brimhall Eye doctors are here to take care of your eye needs. Our doctors and the staff at Brimhall Eye are ready to help you with all your ophthalmologic treatments and surgeries. 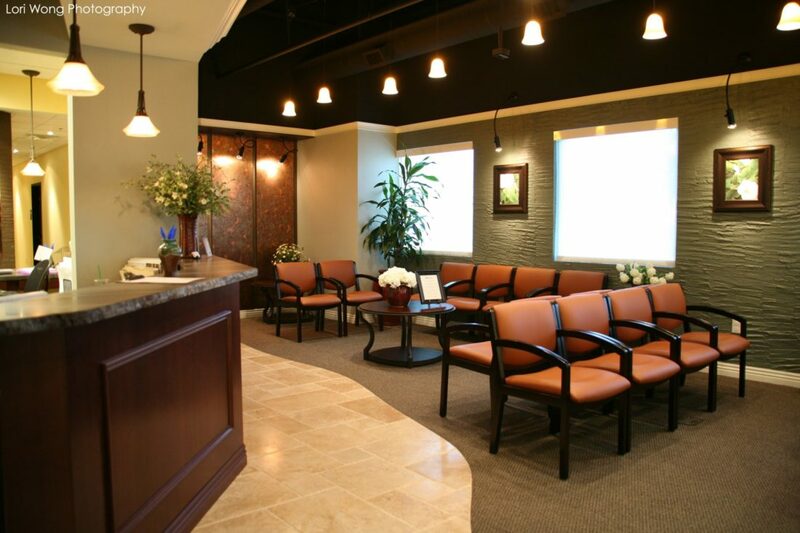 We provide a safe, comfortable space where we can optimize your eye health. Our customer service is as quality as our eye care, and we pride ourselves in giving every patient an exceptional experience. As ophthalmology experts, we diagnose and treat many eye diseases, perform surgery, and advise on the management and care of all vision health. The following services are a few of our offerings, and we offer additional surgeries and treatments that might not be listed here. Send us a message with any specific questions you have! As the eyes age, the lens inside the eye often becomes cloudy, forming a cataract. Cataracts get worse over time, so it's important to get them fixed when they first begin to affect your vision. Cataract surgery is an easy outpatient procedure that only takes a few minutes, yet completely changes your vision. We offer Dropless cataract surgery and laser-assisted cataract surgery. Dropless cataract surgery is the newest and most convenient cataract surgery available, and we are excited to offer it to our patients. Many people choose laser-assisted in Situ Keratomileusis (LASIK) or Photorefractive Keratectomy (PRK) as a way to opt out of wearing glasses or contact lenses or to reduce their daily dependency on them. Both types of laser surgeries can treat farsightedness, nearsightedness and astigmatism by reshaping the cornea. If you long to discard your glasses, schedule an appointment with us to see if you are a good candidate for LASIK or PRK. Glaucoma is a condition that damages the optic nerve and it often caused by abnormally high eye pressure. It can cause vision loss, so it's important to catch and treat glaucoma early. Depending on your individual situation, we may prescribe medicated eye drops, medications such as beta blockers, surgery, laser treatments or other therapies. Our patients with diabetes face their own special set of eye health issues. These include increased risk for cataracts and glaucoma as well as diabetic retinopathy, a condition in which the blood vessels in the retina are damaged, drastically reducing vision and often leading to blindness. If caught in the early stages, treatment and follow-up care for diabetic retinopathy go a long way in preserving your vision. Flashes and floaters are spots of material in your line of vision that look exactly as they sound – like flashes of light and floating specks. If you have flashers or floaters, our eye surgeons can help. Flashes and floaters are usually caused by the thickening of the vitreous, which naturally happens over time. Dry eyes can be painful. They can even make your vision blurry and make your eyes sensitive. If your eyes burn, sting, water, or feel dry, come see us so we can help you feel more comfortable. At Brimhall Eye, we identify the causes of your dry eye and make a treatment plan to ease the condition. This could include eye drops or a tear duct plug if needed. Pterygium is a common growth starting at the inner corner of the eye moving toward the pupil. In extreme cases it can affect vision and needs to be surgically removed. If you have a bothersome pterygium, come by for a surgical evaluation today. There are many conditions and diseases that can affect your eyes. From eye allergies to vision problems to dry eye, we can treat most eye conditions.